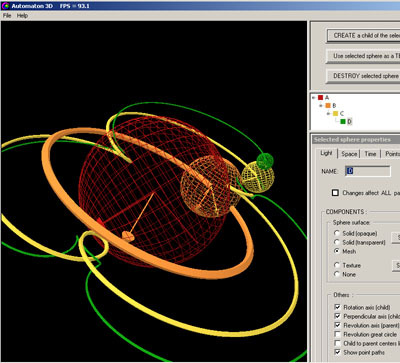 The automata which are modeled in this application are composed of a set of spheres whose size and axis are relative to one another, and where each sphere is rolling upon the surface of one other sphere in a fully deterministic pattern in space and in time. The paths through space taken by one or more points within each sphere can also be visualized as the automaton carries out is choreographed movements. 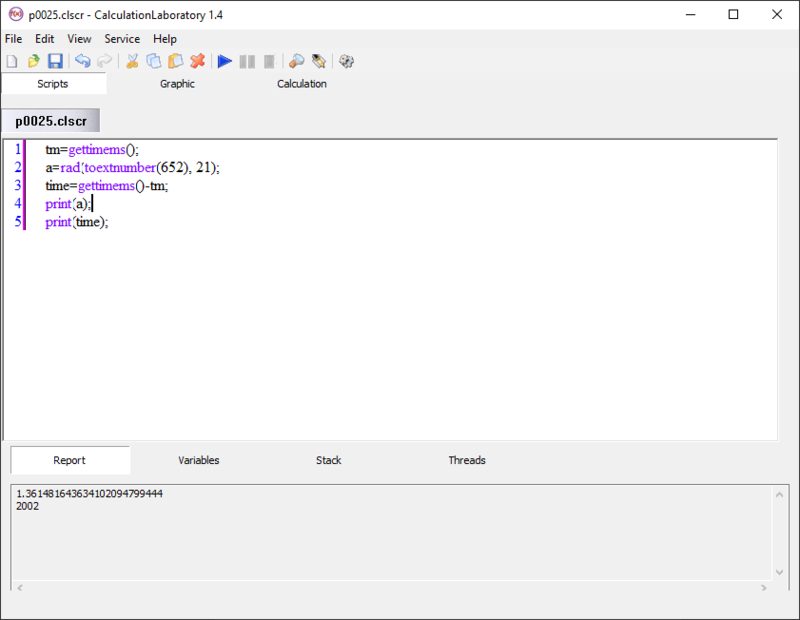 CalculationLaboratory - mathematical program that can handle scripts (their own programming language), and also can handle scripts extreme number (decimal). There is support for multi-threading (using potentiation, ie exponentiation). There is also the Builder of the graphs. You may plotting to use both conventional and extreme number. Scientific calculator and function plotter. Logic operators. 10 constant memories. Automatic bracket completion. Three angle units. Square and cubic roots.Trig. functions. Hyperbolic functions. Logarithm. Numerical integration. Combinations and permutations. Plot functions: linear and logarithmic plots. 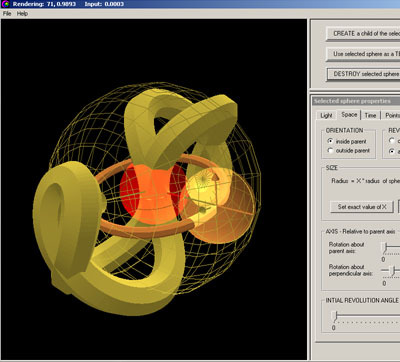 Parametric plots. Multiple plots in one window. Zoom function. Printing function. Export to clipboard. Function value at mouse position. 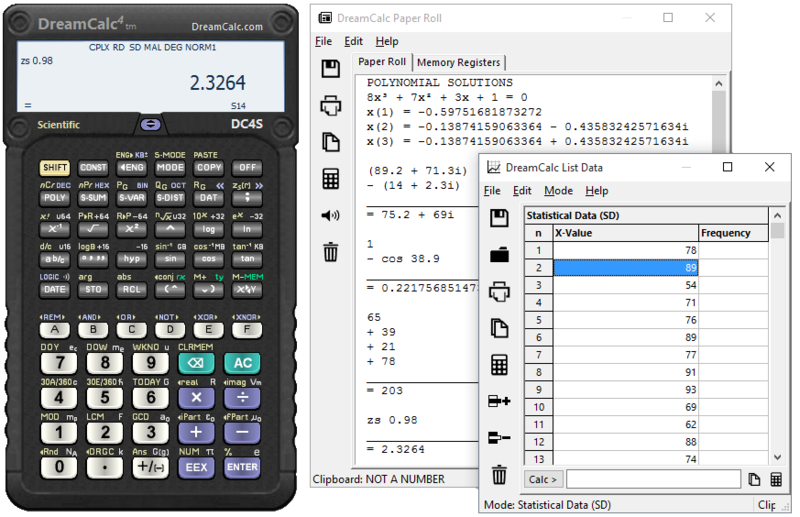 DreamCalc is a fully featured Scientific Calculator for Windows. Unlike the standard Windows calculator, DreamCalc gives you an intuitive and almost tactile experience. It's like using a real hand-held on your PC, laptop or tablet computer! Select from Reverse Polish Notation or two styles of algebraic input, and with the optional ability to run in your Windows system tray--DreamCalc will always be there whenever you reach for a calculator. 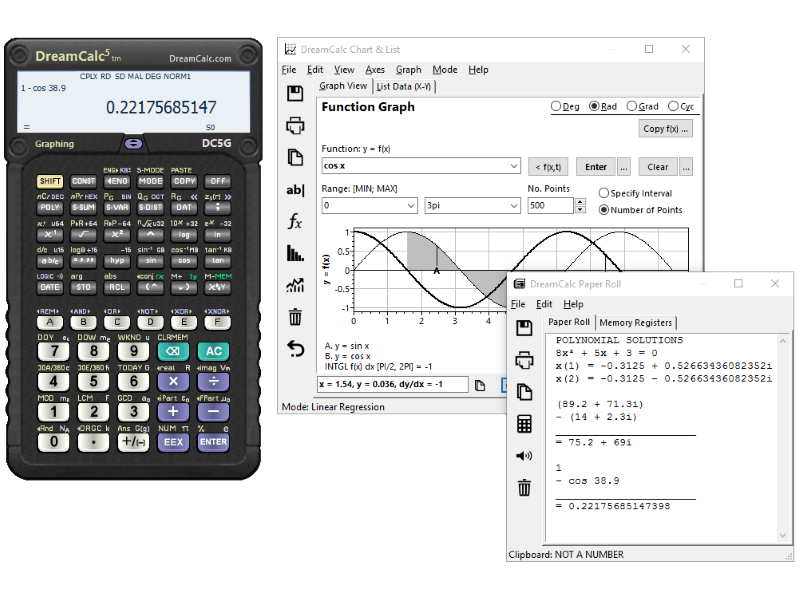 DreamCalc is the Ultimate Free Scientific Graphing Calculator for Windows. This slick math application is so realistic -- giving you an intuitive and almost tactile experience -- you'll never reach for your hand-held calculator again! Select from Reverse Polish Notation or two styles of algebraic input, and with the optional ability to run in your system tray -- DreamCalc will always be there whenever you reach for a calculator. EqPlot plots 2D graphs from complex equations. The application comprises algebraic, trigonometric, hyperbolic and transcendental functions. EqPlot can be used to verify the results of nonlinear regression analysis program. Graphically Review Equations: Up to ten equations could be plotted at the same time, so that intersections and domains could be studied visually. The program allows you to solve algebraic equations in the automatic mode. You just enter an equation in any form without any preparatory operations. Step by step Equation Wizard reduces it to a canonical form performing all necessary operations. After that it determines the order of the equation, which can be any - linear, square, cubic or, for instance, of the 7-th power. The program finds the roots of the equation - both real and imaginary.